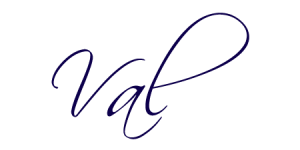 Have you tried Saltwash yet? While at the General Finishes Conference, we met the Salt Wash originator, Carol Hunter, and she gave us a 10 oz. can of Saltwash to try. Pure & Original had already given me two of their classic colors, Poetic Blue and Steel Blue, so we chose them to combine with the Saltwash. 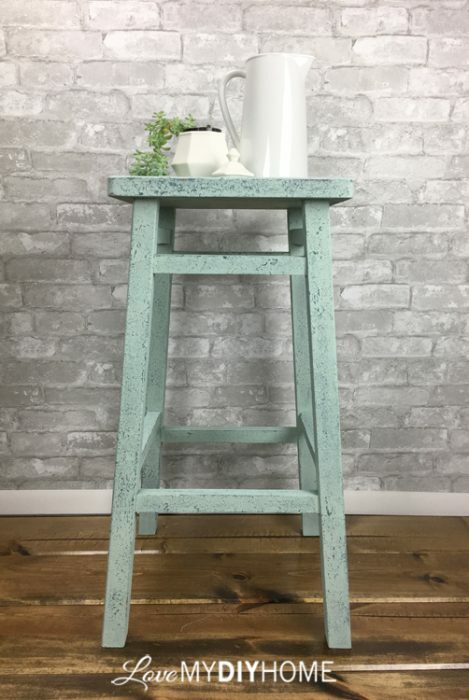 The Saltwash gave it a unique look - one that will fit into any home from a classically traditional to Coastal, to Farmhouse. Not many designs can pull that off, but this one can. 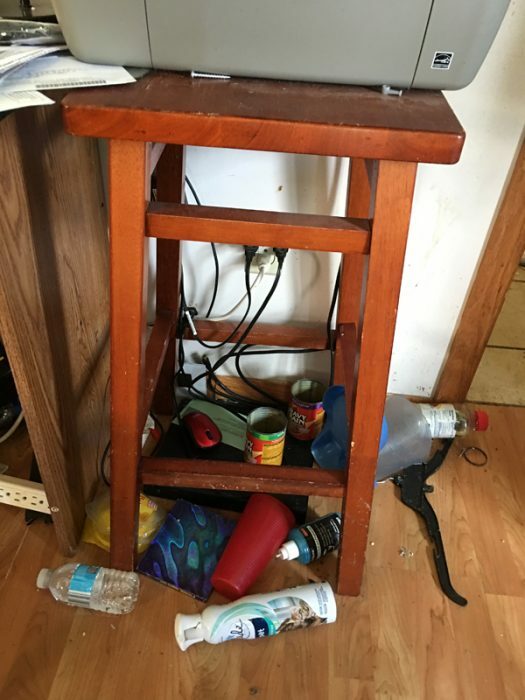 "Ivy" was sitting in an abandoned house amidst piles of trash. We almost missed her. We brought her home, cleaned her up, sanded and got her ready to try out a new look. She had great bones. We named her "Ivy" because she is no longer a printer table hidden in the corner, but a trendy, up to date plant table. Prep - same as always. Clean and sand to get it ready for the salt washed paint. Mix Saltwash with your first color. You add 20-25 oz. of Saltwash to a quart of paint. Basically you just mix it to the consistency of cake batter. 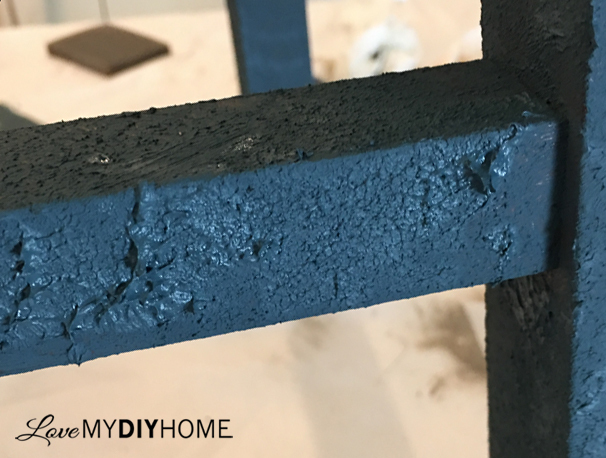 We used Pure & Original Classico paint in Steel Blue. Dab it all on, creating peaks and valleys. Be generous and really glob it on! After it begins to dry just enough to be thick and close to tacky, knock down the peaks with a dry brush. 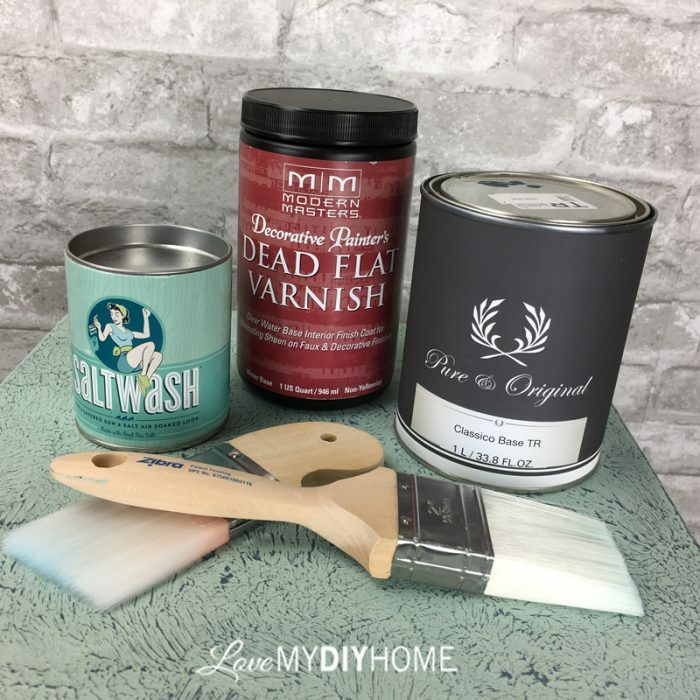 You can use Saltwash with any paint and use it on any surface that can take paint. It's super easy to use. After it completely dries (we waited over night), paint on your second color. 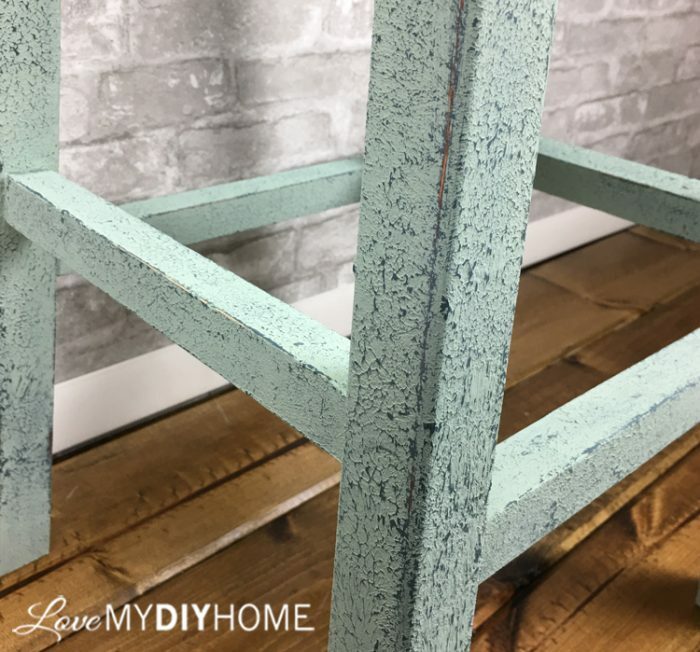 We used the P&O Poetic Blue over top the Saltwashed P&O Steel Blue. 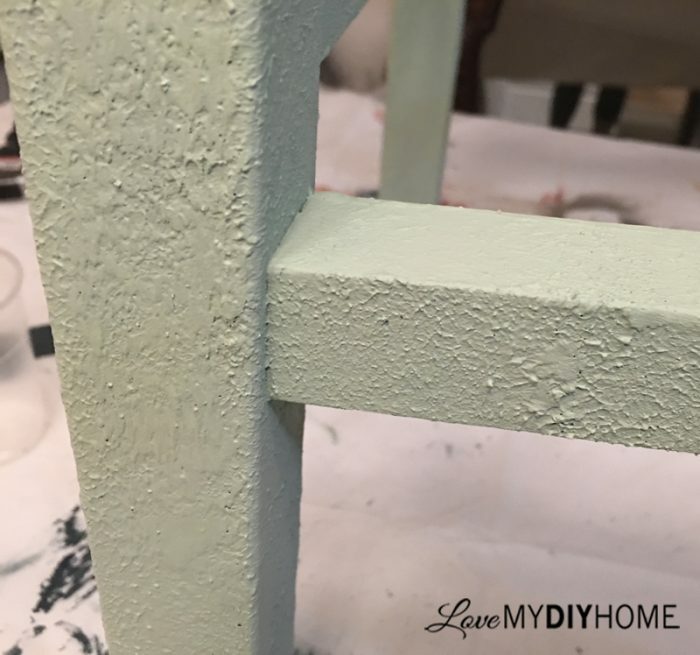 Let your second color dry and take a sander to it. 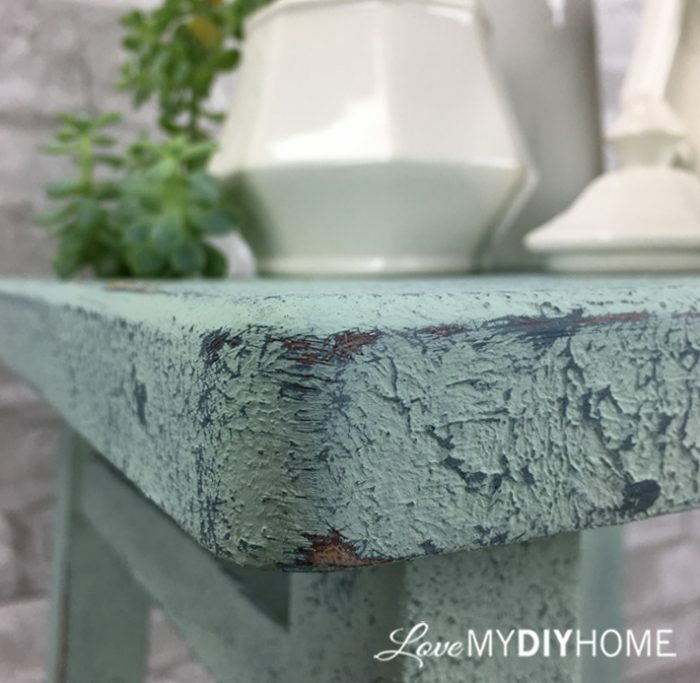 I used high grit sanding sponge and Jillian used my Rigid hand sander to heaviy distress, sanding enough to bring out the Steel Blue, giving a weathered look. 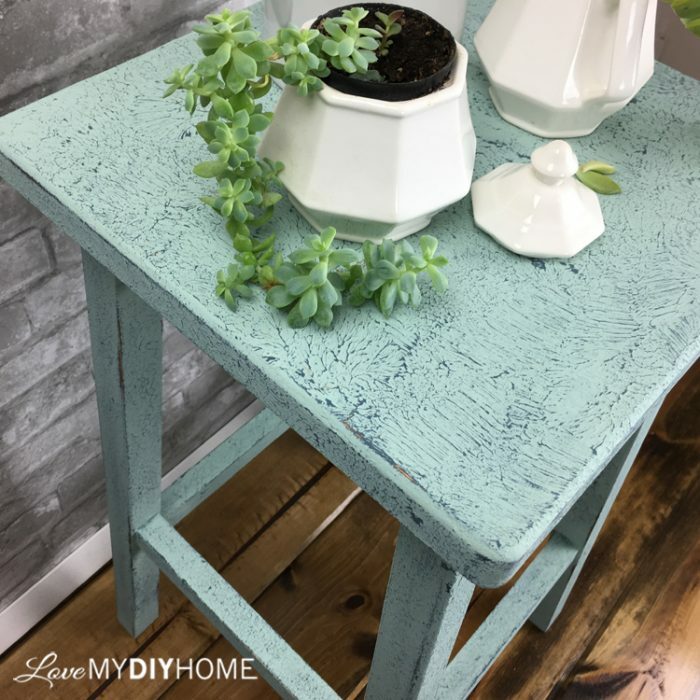 Sand as little or as much as you like, revealing the layer below for a two-toned look OR, distress even more and bring out a little of the original wood surface. 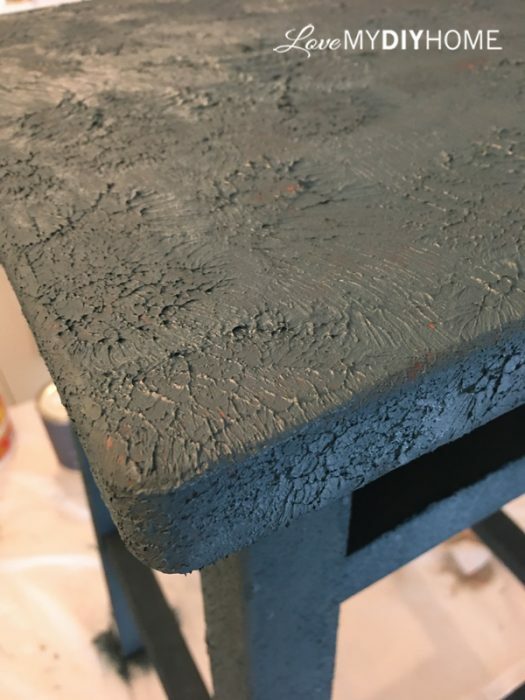 Top coat - you don't necessarily need to add a topcoat, but I planned to bill this as a plant table. It's always a good idea to take extra precautions when a piece may be near water. So, we used Modern Masters Dead Flat Varnish to protect it, two coats on the body, 5 on the top. 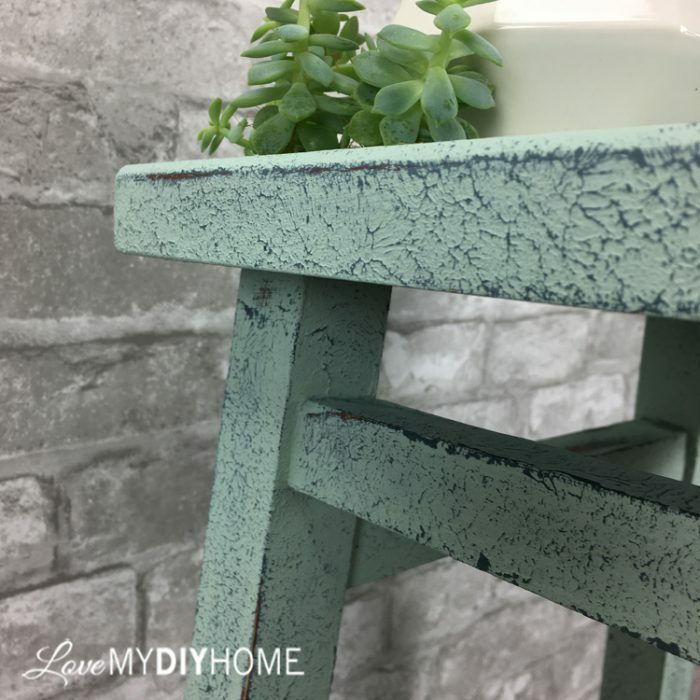 It's important to use good products when you redesign or refinish a piece of furniture. Use the best you can afford and don't be afraid to try out new products. 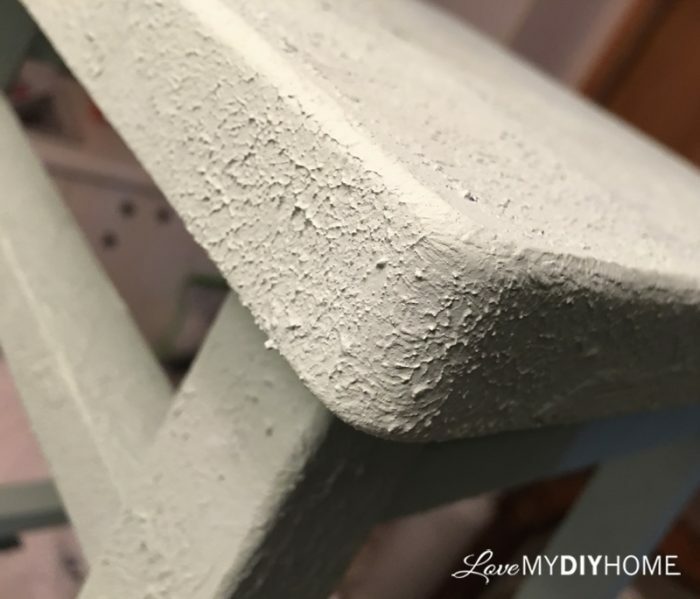 Prep well so your surface receives your paint well and will stay stuck for a lifetime. 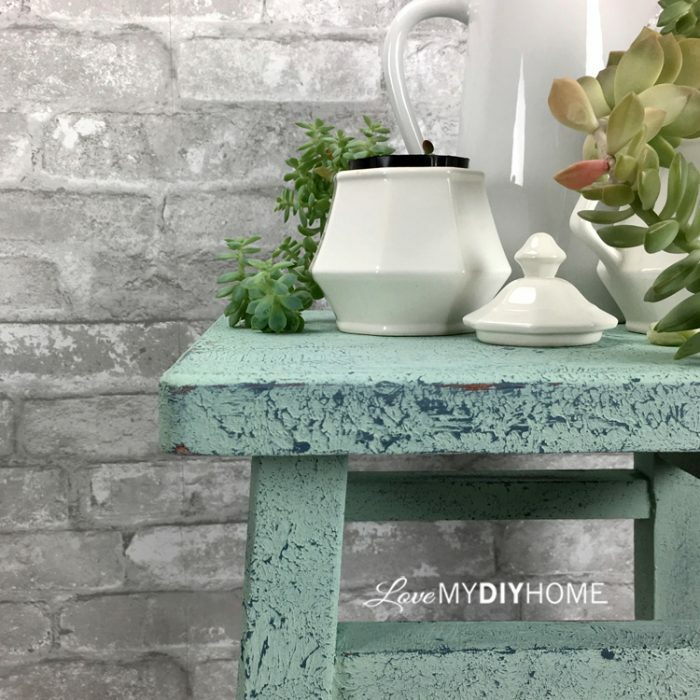 We've found some quality products over our many years of DIY. 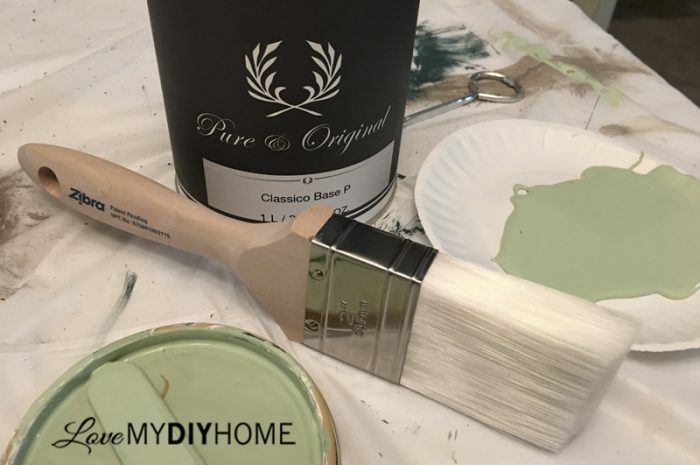 Pure & Original Classico is a flat, eco friendly paint that is easy to use, and has great coverage. Saltwash is a new inovative product that makes it easy to give a weathered, two-toned effect. Zibra Brushes are a quality synthetic brush - they come in different shapes to fit our different needs. Modern Masters is known for their quality products. The varnish is easy to use - it doesn't dry too fast, is workable, and dries crystal clear. Each of these products were supplied by each of the companies - they are generous and very easy to work with. It's one thing to have a great product, but if you can back it up with great support and customer service, you have companies with which you can align yourself.